"Five Stars ... you'll hear things here all too routinely buried by others ... (first-rate) sound adds to this recording's lasting appeal." "... (an) expressive, operatic reading of the Fantastique ... he's not afraid of violence, noise or audience-rousing codas ...the fill-up is gorgeous enough to make purchase obligatory." "... a superlatively airy, open, yet richly resonant recording ... with a focus entirely on the text itself, not its extra-musical 'narrative' and with no whipped-up histrionics, just apt tempos and pinpoint placing of each note and accent." "Four Stars ... his Fantastique is wonderful ... the best of it is almost mind-bending in its hallucinatory vividness ... the whole thing captures the sense of self-dramatizing Romantic shamelessness that lurks behind it ... a very fine performance." 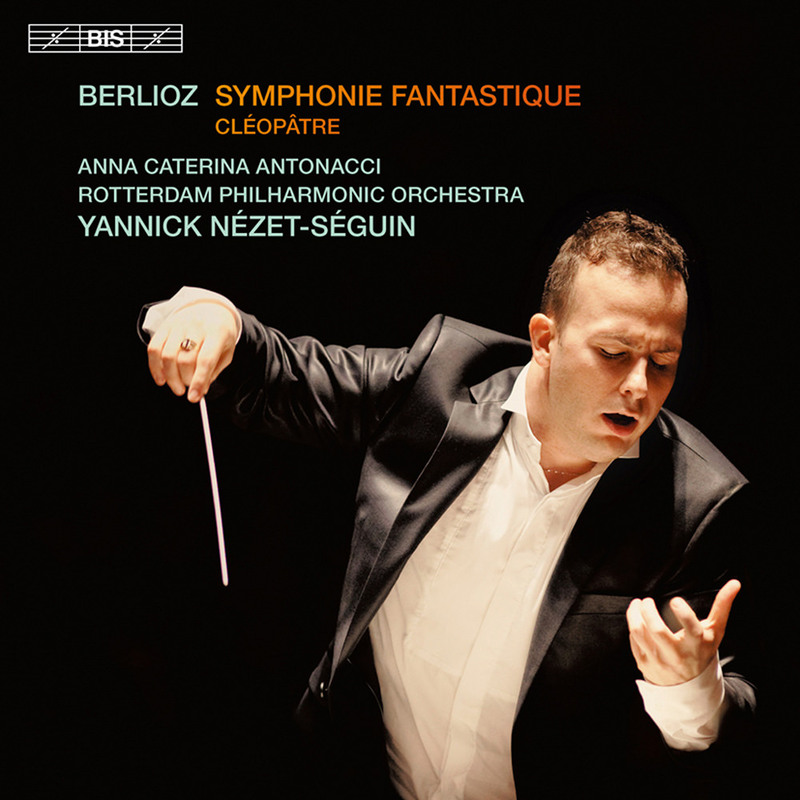 Yannick Nézet-Séguin and the Rotterdam Philharmonic Orchestra present the masterpiece Symphonie fantastique by Berlioz in a full-blooded and luxurious performance, while at the same time respecting the work’s classical proportions. The album also features the "lyrical scene" Cléopâtre, music of the highest possible drama written by the young composer. Embodying the role of Cleopatra is electrifying soprano Anna Caterina Antonacci on one of her rare recordings.